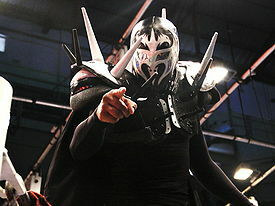 Mini luchador who appeared briefly in 2010. He returned to CMLL in February 2011 and shows up on lineups infrequently. Previously wrestled in La Laguna as Caballero Halcon Jr. and may be related to Caballero Halcon. This page was last edited on 28 December 2017, at 10:42.